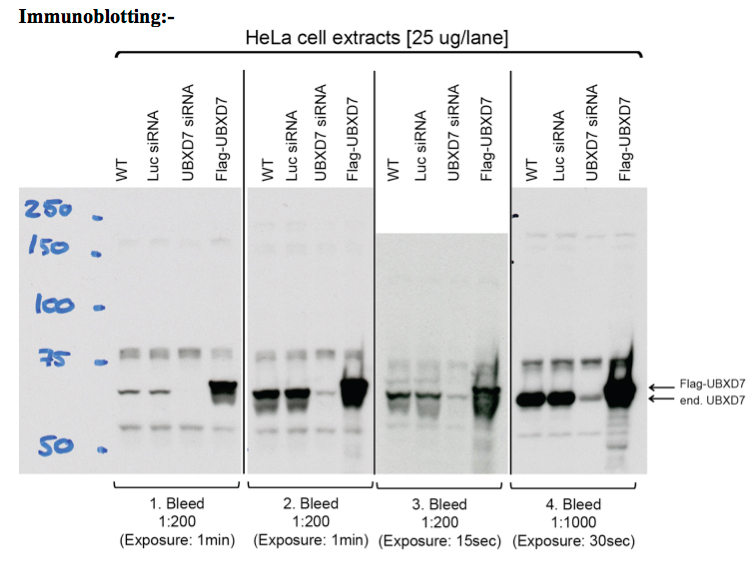 Western Blot with HeLa cell extracts [25 μg/lane] from UBXD7 WT expressing or UBXD7 depleted or over-expressing HeLa cells. 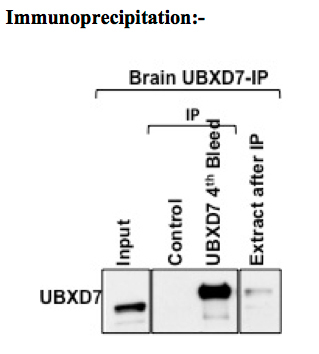 Total cell extracts were immunoblotted with purified anti-UBXD7 antibodies (5% milk in TBS-Tween, o/n). Binding of the primary antibody was detected using peroxidase conjugated anti-sheep IgG antibody (1:3000 dilution) followed by enhanced chemiluminescence (ECL, Amersham).